After many years in the making welcome to The Saddle Room Restaurant. 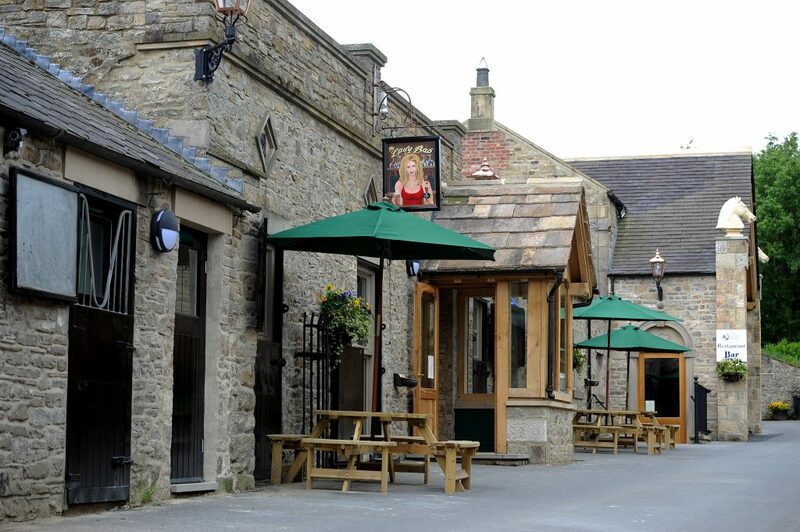 Why not make your visit really special by visiting us for a Drink or even for Lunch or Dinner. You can now stay in our new Bed and Breakfast units before or after your Forbidden Corner adventure. A truly unique dining experience, with sumptuous food, handpicked wine from our award winning cellar and a relaxing atmosphere. The Saddle Room is a brand new restaurant that features a fabulous wine cellar and bar area. The restaurant was converted from race horse stables and is split into 5 sections . The Saddle Cellar – Browse through over 110 wines in our award winning cellar. You can easily identify which wines you would like in leisure and there is also opportunities to taste new wines. The Tack Room – Offering a more casual style of dining with great table service and high spirits. Our very own ‘Saddle Ale” is available as well as selection of guest beers. During the colder months you can enjoy a quiet drink in front of a roaring log fire. The Lady Bab – Named after the old pub at the bottom of Tupgill park which closed in 1912 This will casual dining experience away from the hustle and bustle of The Tack Room whilst also provide a space for people popping in for a drink. The Hayloft – Ever wanted Private dining for a large group of people ? From 25 people you can have your own dining area and function room which can cater for up to 50 people. A private bar can be organised to really make your special occasion that little bit better. Disabled access is available. We endorse local community events and if you wish to hire the room please feel free to give us a ring. The Bell Barn – Something really different is our new Bell Barn. Ideal for private functions or weddings we can cater for up to 100 people. Private bar available. None religious weddings can be held here.